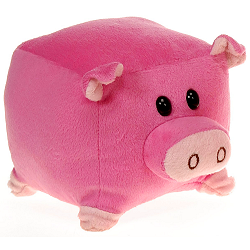 This little plush pig is adorably unconventional with a huggable square body that begs to be held. Part of The New Round collection by Fiesta, this lovable pig stuffed animal is cute and cuddly with soft hot pink fur, light pink hooves, inner ears, and snout, a fun curly tail, and sweet black eyes. 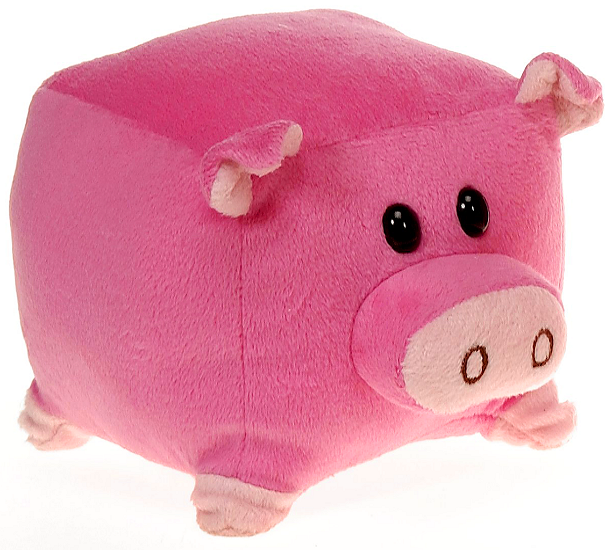 Full of personality and delightfully stackable with other animals in The New Round collection, this whimsical plush pig is perfect for hours of engaging play and imaginative adventure.